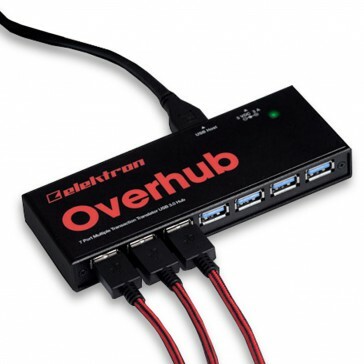 Elektron Overhub: Connect up to 7 units to a single host computer for maximum productivity. A USB hub for the modern studio: Naturally, Overhub is fully compatible with all USB peripherals. And it works in the most convenient manner too as operation is completely driverless. Clever tech: Multi TT technology ensures ultimate USB data transfer performance. Every bit in its right place, at the right time. Overhub is a top performer. Feature highlights: 7 USB ports, supports USB 3.0, fully compatible with all USB peripherals, MTT technology for efficient merging of multiple USB Full speed (12 Mbit/s) streams, driverless operation. 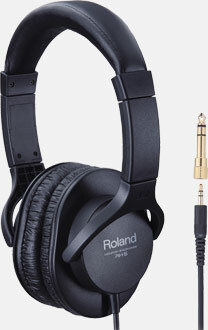 The Roland RH-5 headphones are perfect for electronic musical instruments such as Roland’s digital pianos and V-Drums. Equipped with high-performance drivers and large-scale housings, these headphones provide quality sound and a comfortable fit. From musical-instrument practice to audio-playback applications, RH-5 delivers exceptional performance. Equipped with high-performance φ40mm drivers for dynamic, quality sound. Provides a natural, flat response that’s balanced across the frequency spectrum (10–22,000 Hz) Large-scale, lightweight design for secure and comfortable fit. Conversion plug (included) accommodates standard and mini headphone connectors. M-Audio Axiom Air mini 32 Keyboard and pad controller is customizable with simple plug n’ play operation with all popular digital audio workstations via hypercontrol. 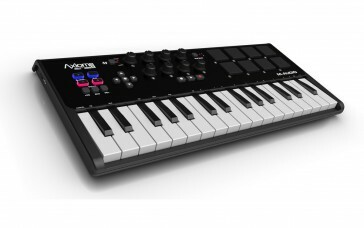 32 expressive, low-profile velocity-sensitive keys, 8 velocity-sensitive trigger pads x2 banks, 8 assignable knobs for immediate control over fx, panning, etc Packs big-keyboard features into a small package, octave +/- buttons, sustain, pitch bend and modulation buttons and dedicated transport controls. 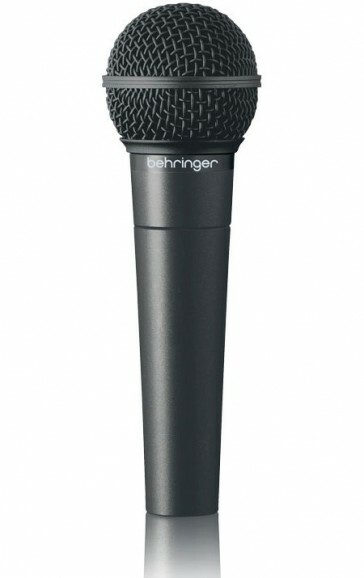 The Behringer XM8500 dynamic microphone is a performer’s and home recording enthusiast’s dream come true! This professional-quality microphone is designed to capture your sounds with outstanding sensitivity and accuracy. With a cardiod pickup pattern for excellent sound source separation and feedback rejection, this ultra-wide frequency response mics is an excellent choice for any performing or recording scenario – and it’s rugged enough to go the distance! With an integrated shock mount system and spherical wind and pop noise filter, and coming packaged with a mic stand adapter and an impact-resistant carrying case, the XM8500 just may be the only microphones you will ever need. REAPER is a complete digital audio production application for Windows and OS X, offering a full multitrack audio and MIDI recording, editing, processing, mixing and mastering toolset. REAPER supports a vast range of hardware, digital formats and plugins, and can be comprehensively extended, scripted and modified. REAPER’s full, flexible feature set and renowned stability have found a home wherever digital audio is used: commercial and home studios, broadcast, location recording, education, science and research, sound design, game development, and more. From mission-critical professional environments to students’ laptops, there is a single version of REAPER, fully featured with no artificial limitations. You can evaluate REAPER in full for 60 days. A REAPER license is affordably priced and DRM-free. The Hercules XPS 2.0 80 DJ Active Monitor speaker system comprises 2 compact wooden satellites, designed to reduce clutter in your home studio. The front face’s curvature has been calculated to ensure a clear and balanced sound flow. Each satellite features a silk-dome tweeter, for sharp and pure treble. At the center of each satellite, a 4-inch woofer with a Kevlar diaphragm – a material offering consistent performance, that is less subject to deformation than other materials – delivers ample and homogenous medium and bass sounds. 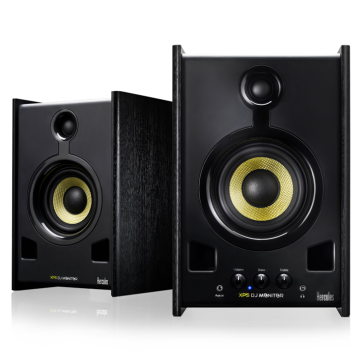 The front face features a dual port system to receive and assess all the bass frequencies.